Well I've been working on this for the past couple of days as I continued to ignore my Spiral wall yet again lol. awsome wall but it's way too bright..
i like how u've off center'd it all into the middle third. (Rule of thirds...a photography thing). The logo kinda throw's it off a bit, but i guess u gotta get it in there somewhere ^^. Very clear crisp image. I think it's quite obvious that u put quite a bit of time into this. Keep it up. Superb piece d^^ ~! Gorgeous effects, the lighting looks really nice. Nice placement of the planet and text too. its really nice, but maybe make it a little less bright? An Absolutely Beautifull Masterpiece. A must have for any Evangelion Fan. 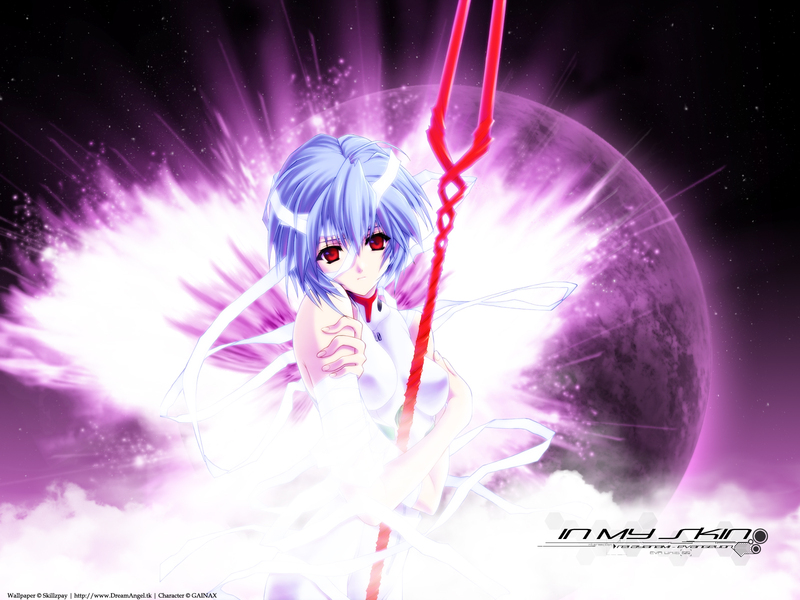 This is the best Rei wallpaper since a looong time. Well, I believe it's also the only one since a long time, but it's definitely well done. Beautiful! I love the effect. Interesting wings -- I like it. that's a great wall ^^ you've done a good job !! !